Governor Pat Quinn has signed a bill that that makes it clear that all Illinois bicyclists may pass stopped or slow moving vehicles on the right. The bill was signed on August 16th and goes into effect on January 1, 2014. It sailed through the Illinois House and Senate and made it to the governor's desk thanks to the strong backing it had from the Active Transportation Alliance and its sponsors, State Representative Laura Fine of Glenview and Senator Thomas Cullerton of Villa Park. Lilly was lying in the trauma unit at Northwestern Memorial. (For anonymity, she that asked we only use her nickname.) She’d been doored on Lincoln Avenue on her morning bike commute, and now doctors were swarming around her, trying to determine if her pregnancy, then five months along, was at risk. That’s when the police officer who had responded at the crash scene walked in to drop off the incident report and to let Lilly, 30, know that — by the way — she was at fault for the crash. Her heart-rate monitor began beeping furiously — how could she be at fault? She’d been riding in the shared [bike] lane on Lincoln, passing between the line of stopped traffic and the line of parked cars, when a passenger in one of the cars idling in the traffic lane swung his door open straight into her bike, sending her spinning into the pavement. It may have seemed reasonable at first to consider a bicycle a "2 wheeled vehicle." After all, in many instances the Vehicle Code treats the bicycle as just another vehicle. Section 11-1502 states that, "Every person riding a bicycle upon a highway shall be granted all of the rights and shall be subject to all of the duties applicable to the driver of a vehicle by this Code..."
Unfortunately, however, some had ended their analysis of the law there, creating confusion that lead to Lilly getting a ticket. Our Vehicle Code may grant bicyclists many of the same rights as drivers, but it explicitly distinguishes what is a "vehicle" and what is not. The Code defines the term "vehicle" in Section 1-217 as, "Every device, in, upon or by which any person or property is or may be transported or drawn upon a highway or requiring a certificate of title. . ., except devices moved by human power. . ." (emphasis added). Further, Section 1-106 defines a "bicycle" as, "Every device propelled by human power upon which any person may ride, having two tandem wheels except scooters and similar devices." A bicycle, therefore, is not - and never was - a vehicle under the Code. Hence, Section 11-704(b)'s "eight foot rule" could only have applied to motorized two wheeled devices, motorcycles, scooters, mopeds and the like. There was legal precedent for this reading of the law as I documented in a post about this issue earlier this year. But a simple clarification to be added to Section 11-704(b) seemed like the best and most practical solution to ensure that no other injured bicyclists would be ticketed unnecessarily. Ron Burke and Max Muller, Active Trans' executive director and director of government relations, respectively, and I discussed how to fix the law. We decided on a single sentence: "This subsection does not apply to devices propelled by human power." Simple, we all agreed, would be best. There would be no need to reference other parts of the Code or reach for legislature intent. The language succinctly spoke for itself. Earlier this summer, Chicago passed an ordinance that similarly clarified application of the eight-foot-rule within the City's borders. Now, as Max wrote in a blog post yesterday, all "Illinoisans riding bicycles may confidently pass slow-moving cars on the right side of the road and know that they are on solid ground legally." As for Lilly's case, it is ongoing. The driver's insurance company rejected her claim because she was ticketed in the crash. A lawsuit has been filed and we intend to take the matter to trial if necessary. I hate it when cyclists run red lights. However, there is one place in the city where I find myself getting pissed-off when I see a cyclist running a red light, the Dearborn Bike Lane. That is one bit of road that was built for us and actually feels like it, so let's be good boys and girls when riding in it. It separates bikes from motor vehicle traffic and provides cyclists with two lanes so it can be used to go north and south. Its location is great, right in the heart of The Loop so you can use it to get somewhere you really need to go, like work. Its location does not feel like a scrap thrown at cyclists; like, Here's a mile of bike lane in a commercial dead zone. To me, it has come to represent a real commitment by our city to change our infrastructure for the better. Most of all, I love the traffic lights at the streets that intersect the lane. They are designed and timed for cyclists. A little green bicycle illuminates indicating that it is okay to proceed, while red arrows warn motorists that turning across the bike lane is a no-no. It all makes sense, and that is important. Because the design feels right I never feel the slightest urge to pedal through a red light. Apparently, many of my fellow cyclists feel the same way. Earlier in the summer The Chicago Tribune reported that since installation of the Dearborn Bike Lane's bike friendly traffic lights, the number of cyclists obeying the traffic signals increased by 161%. In the piece, Chicago Transportation Commissioner Gabe Klein observed that, "Cyclists will really abide by a signal if they have one." Lee Crandell of the Active Transportaion Alliance added that, "It's important to have infrastructure that speaks to people who are biking. Otherwise, they feel the roadway was not designed for them." The Dearborn Bike Lane is not the only new infrastructure in Chicago created for cyclists. There are other protected bikes lanes. But some of those lanes, or parts of them, do not make sense. As a result I often see bicyclists who use them break the law, or, worse, get hit by a car while following the law. For example, in the Kinzie protected bike lane there is a stop sign attached to the outer wall of the Merchandise Mart's parking structure at the T-intersection with North Franklin. Under the law, cyclists must stop at that sign. None do, and none ever will. There is no pedestrian crossing there and no reason for a motor vehicle to ever cross the Kinzie bike lane at that location. The sign is a vestigial appendage from before the bike lane was installed. It should be removed. Every time a bicyclist runs it - which is often - nearby motorists likely view that cyclist as an outlaw. That is not good for the growth and image of cycling in Chicago. Another example of bike specific infrastructure design that does not make sense is in the protected bike lane at 18th Street and Wentworth. That intersection is completely uncontrolled, but should be in order to protect cyclists. A lot of motor vehicle traffic crosses the 18th Street bike lane at that location. Crashes and near crashes are apparently prevalent there. Cyclists using the lane have reason to feel that at least that portion of the lane was not created with their safety in mind. A bike friendly traffic light at that location, a la Dearborn, would go a long way toward fixing that problem. Dearborn is not perfect. There are problems that need to be fixed. The pavement is chewed up in places and tends to accumulate water and, in the winter, ice. Pedestrians still tend to wander aimlessly into the path of cyclists there. A more permanent barrier between cars and bikes is needed to provide greater protection from motor vehicles that may wander into the lane. Such fixtures may also provide greater awareness to pedestrians that a bike lane exists there. The City is aware of these needs and has expressed a commitment to address them. But despite the warts, Dearborn just feels like our place, a stretch of road - real road, not a path - for bikes. So fellow cyclists, please do not run the lights there. To the City: More please! The quality of the video obtained from the Shell station at 5701 North Broadway is not good enough to reveal the license plate on the vehicle. Hoping to identify the vehicle after it fled east on Hollywood, we obtained video from the red light camera at Hollywood and Sheridan Road. 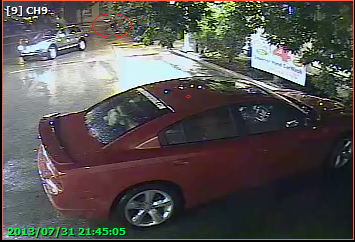 However, due to the dark, rainy conditions that video is also of poor quality and the vehicle cannot be identified. Also, we are not certain that the driver continued all the way to Sheridan Road after the incident. Chicago police are investigating the crash and are actively looking for the driver. The bicyclist was taken to Evanston Hospital following the collision with a injured left knee. A full assessment of her knee injury will not be known until the swelling subsides. She is expected to recover from her injuries. A 46 year old Chicago bicyclist, a husband and father of four teenage children, was killed on Monday when he was struck from behind by a driver in Chikaming Township, Michigan, according to The Daily Herald. 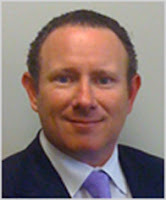 Kevin Flynn, a prominent Chicago businessman with a vacation home in the area, was hit at around 5 p.m. by a 67 year old driver whose name has not yet been released. Both had been traveling north on Three Oaks Road near Harbert, Michigan at the time of the crash, according to the Northwest Indiana Times. His wife told the Chicago Sun-Times that he had played golf with his son and a friend earlier in the day. Kevin Flynn lived in Chicago's Lincoln Park neighborhood. Click here to read Kevin Flynn's obituary. Sometimes your bike gets jacked up in a crash. If the damage is the fault of a motorist there are some things you should know about getting compensated for your loss. the lesser of (1) the reasonable expense of necessary repairs to the property or (2) the difference between the fair market value of the property immediately before the occurrence and its fair market value immediately after the occurrence. I.P.I. 30.11 (emphasis added). If the damage can be fixed, great. You should be compensated for the necessary repairs. A detailed receipt or repair estimate from a good bike shop will generally do the trick. If the case must go to trial, your attorney may need to bring the mechanic in to testify to the damage, and the necessary repairs. However, you may only receive the cost of those repairs if that cost is less than the difference between the fair market value of the bike before and after the damage was done. For example, while passing through an intersection a driver coming the other way turns left into you. The impact knocks your front wheel out of true and bends your left crank arm. You purchased the bike new one month prior for $2,500. The fair market value of the bike before the crash is assessed at $2,300. Its value after the crash is assessed at $1,500. (More about how that is calculated later). The difference in the fair market value before and after the crash is $800. On the other hand, your bike shop can re-true your front wheel and replace the bent crank arm for $400. The repair cost, being the lesser amount, is what you are entitled to under the law for your damaged bike. Where the bicycle, or other property at issue, is close to new, determining what its fair market value was before the crash is relatively simple. Bicycles, when reasonably well kept, do not depreciate all that quickly. (Another way in which bikes are better than cars). It will be helpful to dig up your purchase receipt, or have the shop you purchased the bike from provide a new copy, to show to the driver's insurer, or jury. On the other hand, the older the bike is, and the more unique it is, the more challenging it can be to determine the bike's fair market value. Often, an experienced bicycle mechanic, or other bike industry professional, will need to be consulted. In our experience, mechanics at Chicago's better bike shops are excellent at helping out with this. If the bicycle involved is one that can easily be found in the resale market, the common resale price can be used to help place a fair market value on the bike. The bicycle expert's knowledge and experience in this regard will be important. 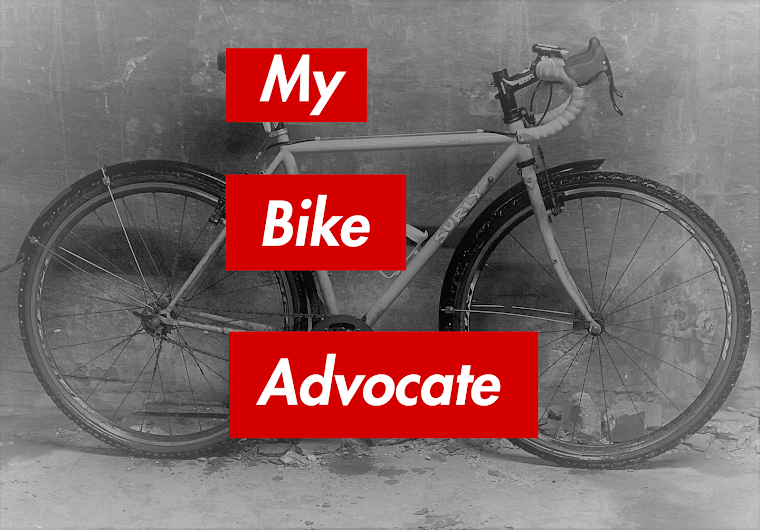 Recently, for example, we resolved a client's property damage claim with the aid of a mechanic from Boulevard Bikes, one of the city's better shops. The steel frame of the bike involved was bent beyond repair. It was a 30 year old brand of bike not made any more. At first glance the frame seemed to have insignificant value. However, despite the bike's no name branding, our expert pointed out that it had significant value. He helped us demonstrate numerous aspects of the frame which suggested it was of high quality with significant value. The steel frame's tubing was butted and assembled with ornate lugs. It also had a flat crown fork and horizontal rear drops with integrated chain tensioners. Pointing out these technical aspects helped us demonstrate that the bike was well made and, therefore, valuable, increasing our client's recovery. Save your receipt after buying your bike. Get the driver's contact and insurance information at the crash scene. After a crash, make sure your bike, no matter how badly damaged, is not discarded. When you are able, take the bike to a good shop and ask for a detailed repair estimate or bill. Take photos, or ask the bike shop to take photos, of your bike's damage. Consider contacting an attorney with experience handling bicycle cases.